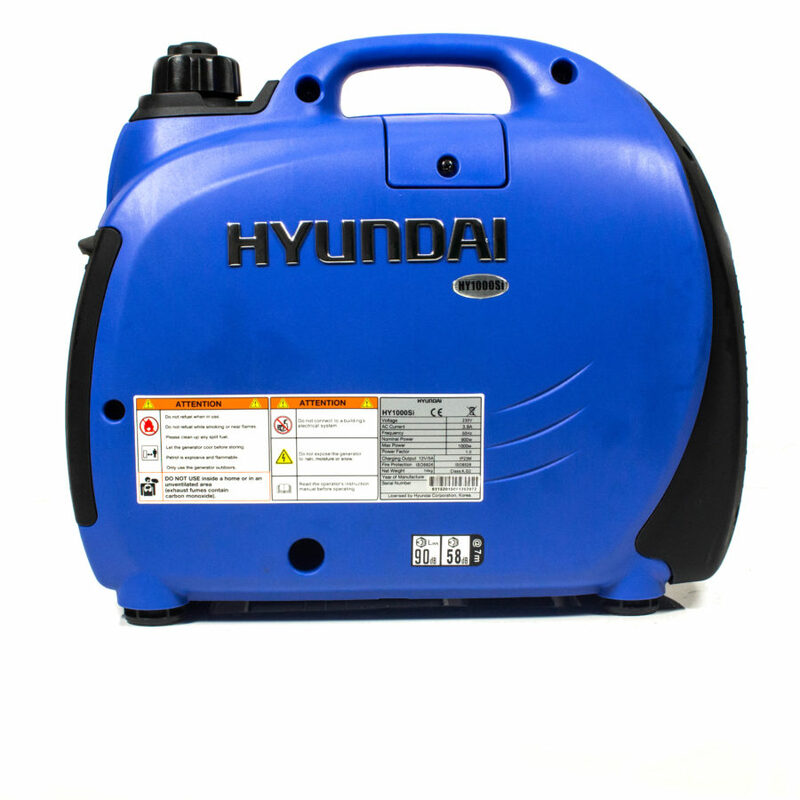 The Hyundai HY1000Si is the most compact model of petrol inverter generators in the Hyundai leisure category. 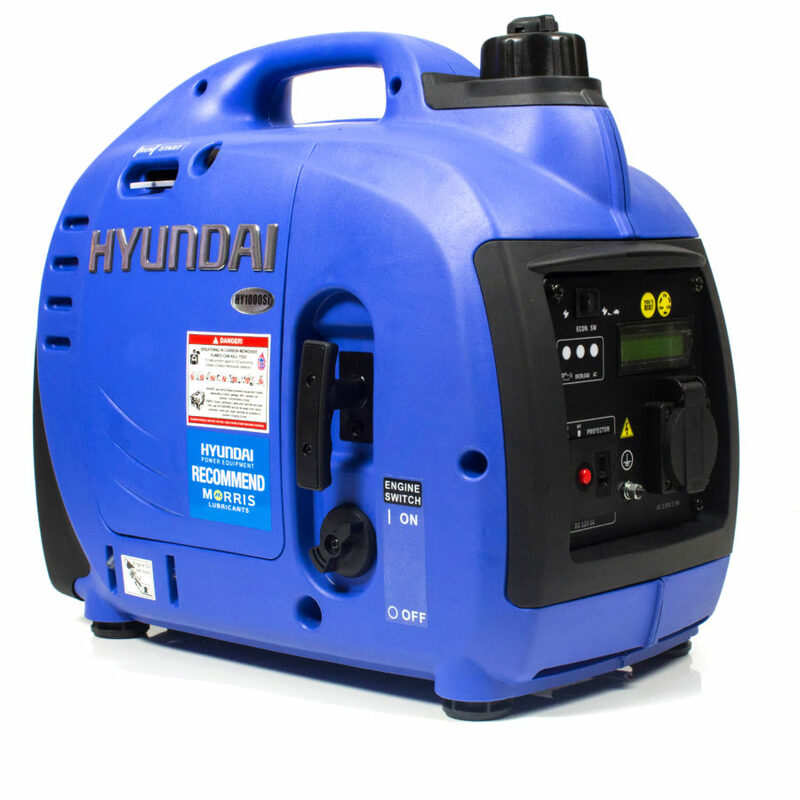 Weighing only 13kg, the HY1000Si is perfect for recreational outings such as camping, caravanning, and boating. 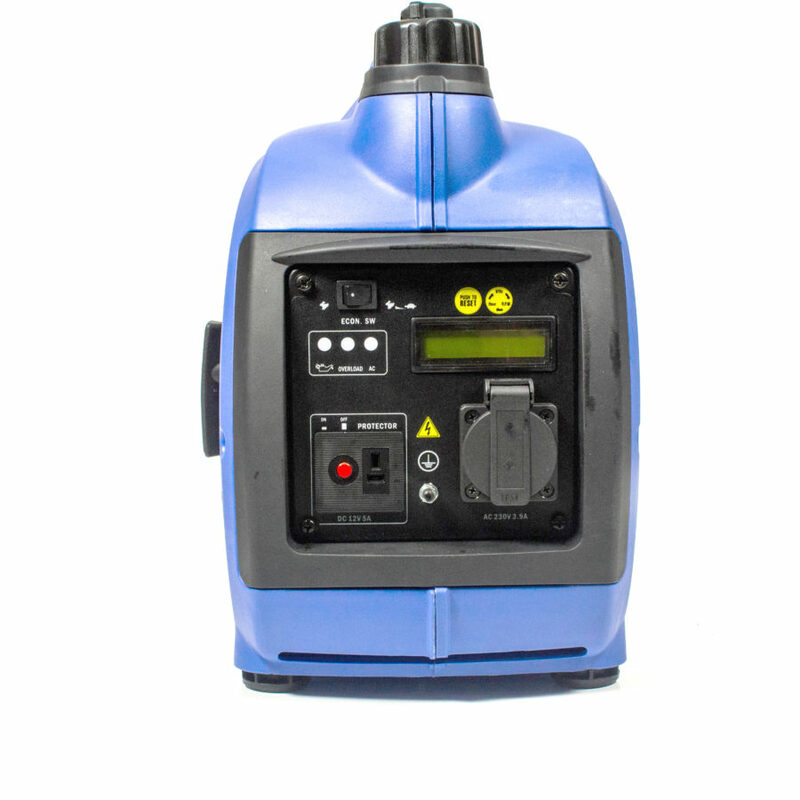 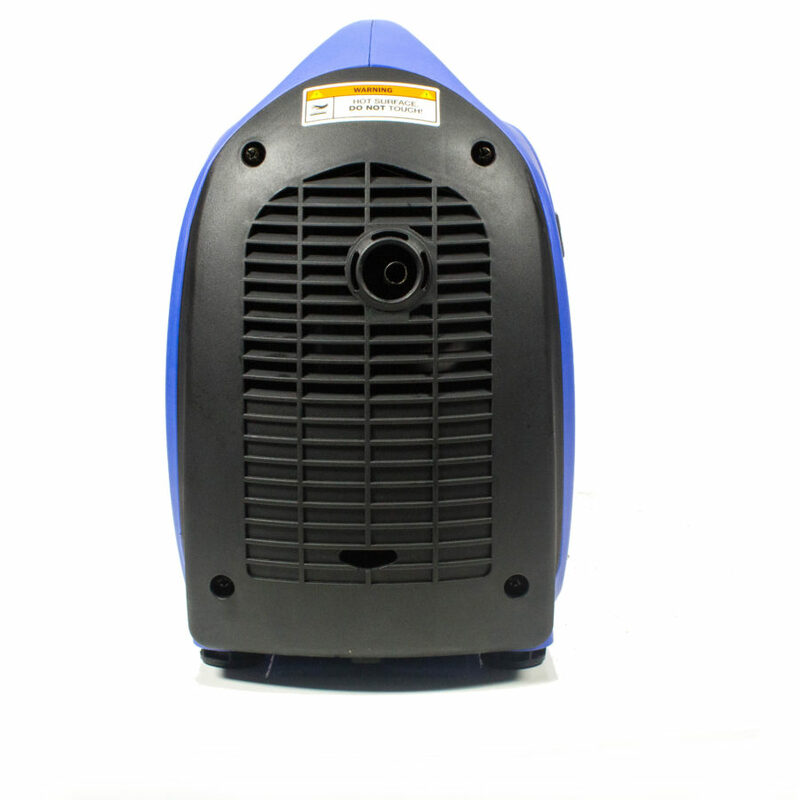 Use it to charge the appliances of your caravan, power up your TV on the road, or run lighting around your campsite. 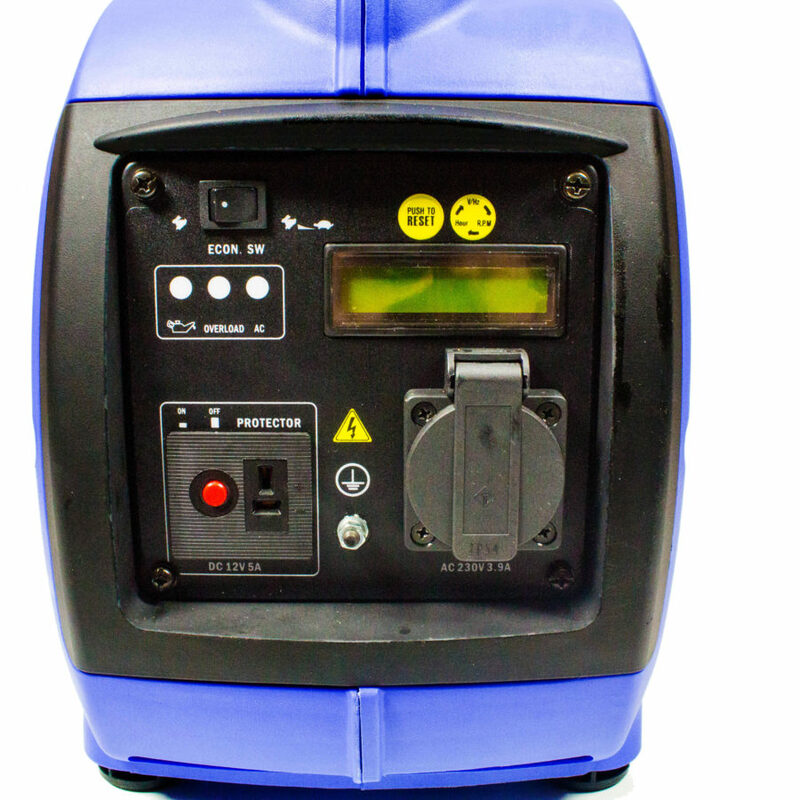 The clean sine wave output technology ensures your appliances are powered by clean electricity so you can confidently plug in all of your equipment without any worries about overloading. 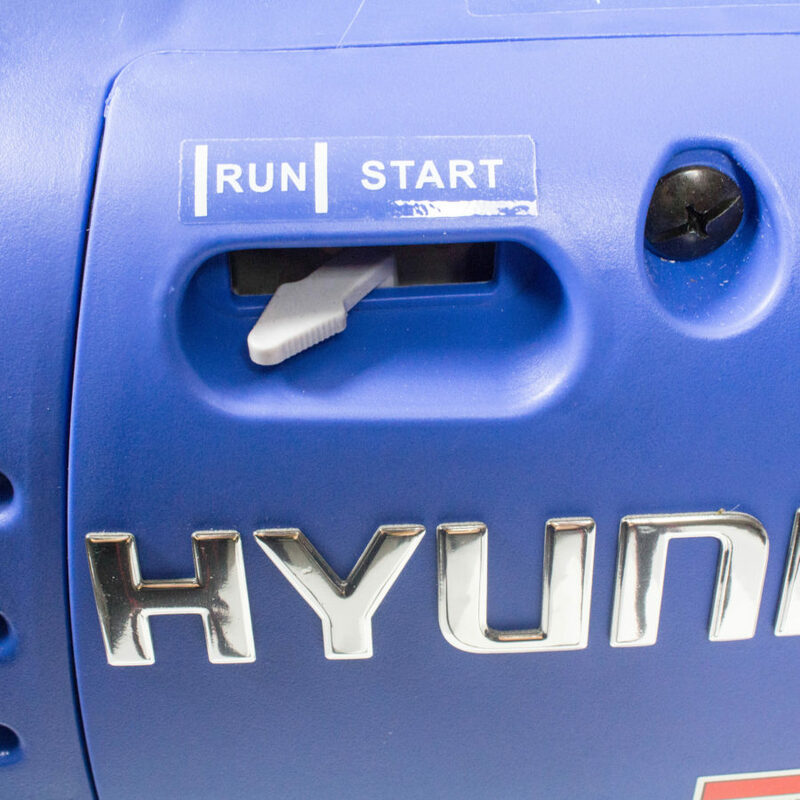 The HY1000Si also features the Hyundai ECO-Throttle system that reduces fuel consumption and noise. 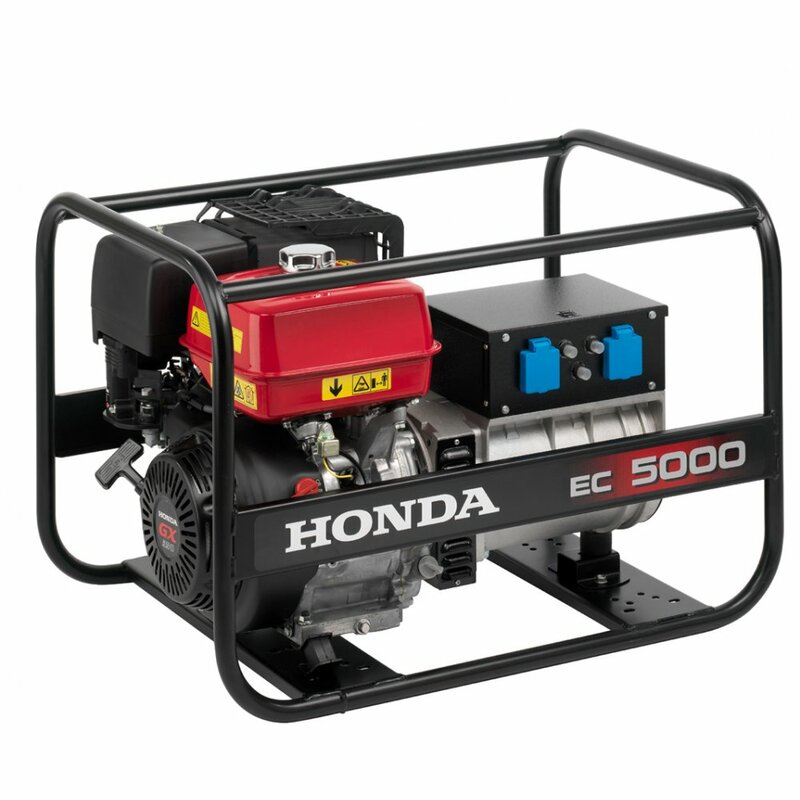 With a maximum output of 1000 watts and a 2.7 litre fuel tank, the HY1000Si can run for three to seven hours on a single tank of fuel. 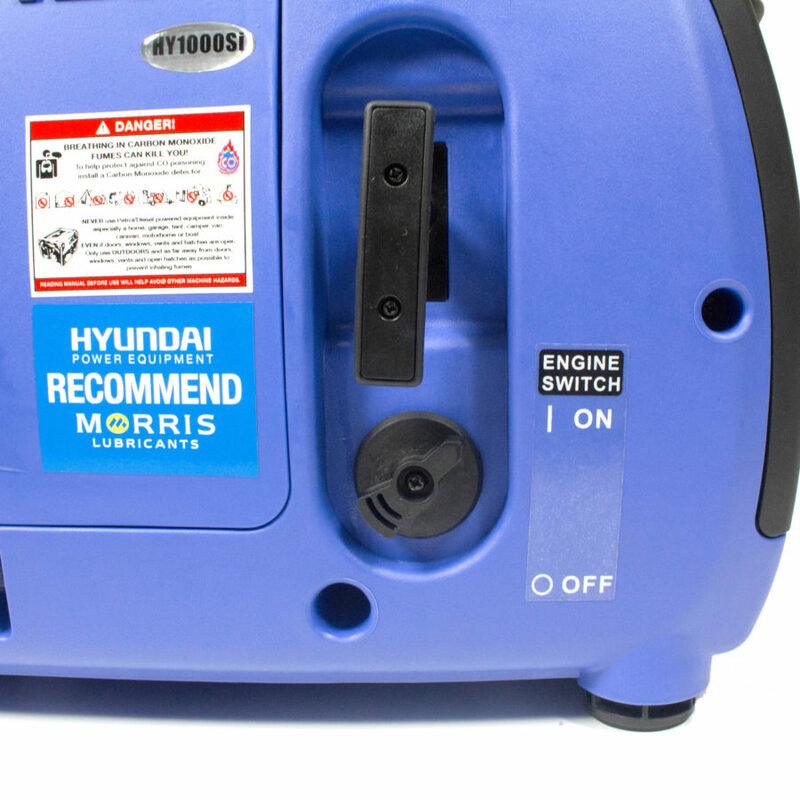 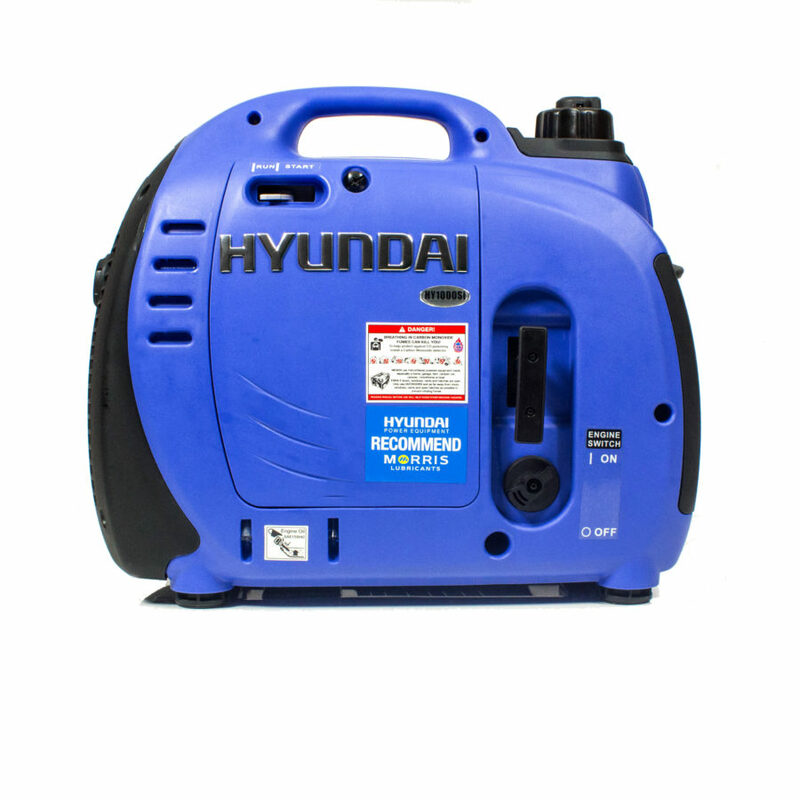 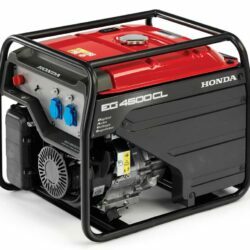 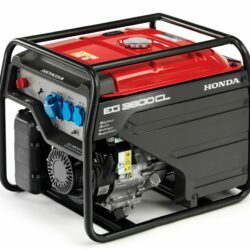 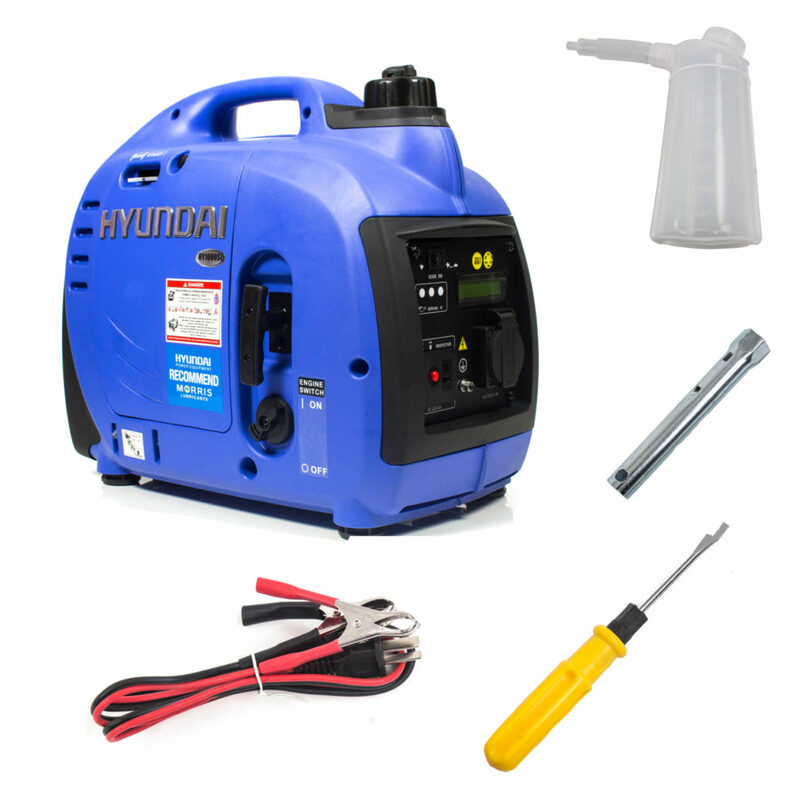 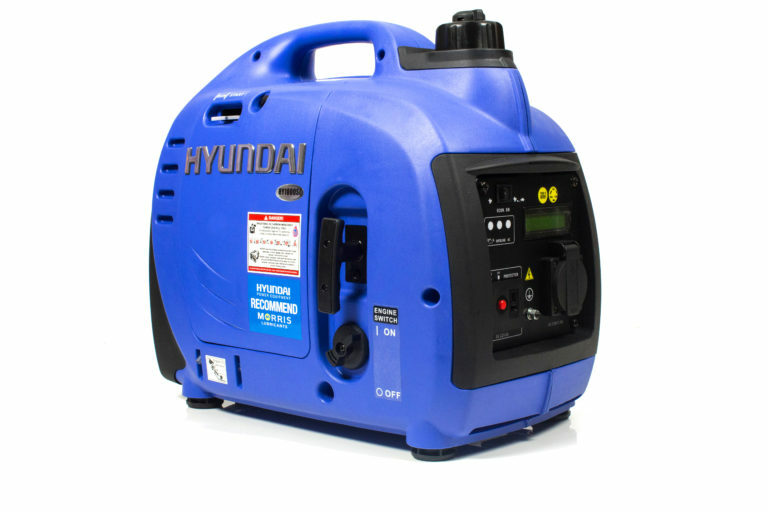 With all of the features Hyundai has packed into this portable generator, it’s no wonder why it’s so popular.